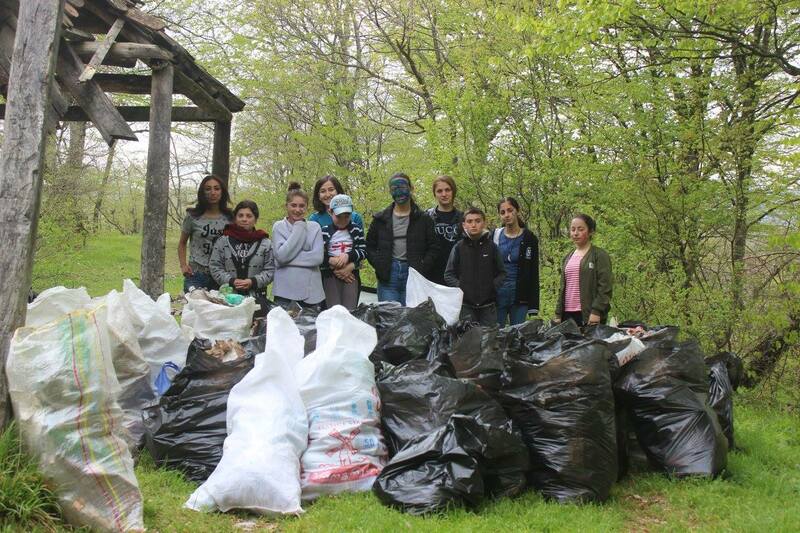 To celebrate Earth Day in Kvareli Municipality, on April 22 the local coordinator of the Greens Movement of Georgia/Friends of the Earth – Georgia organized clean up action in the frames of “Clean Up Georgia” campaign with support of local authority. 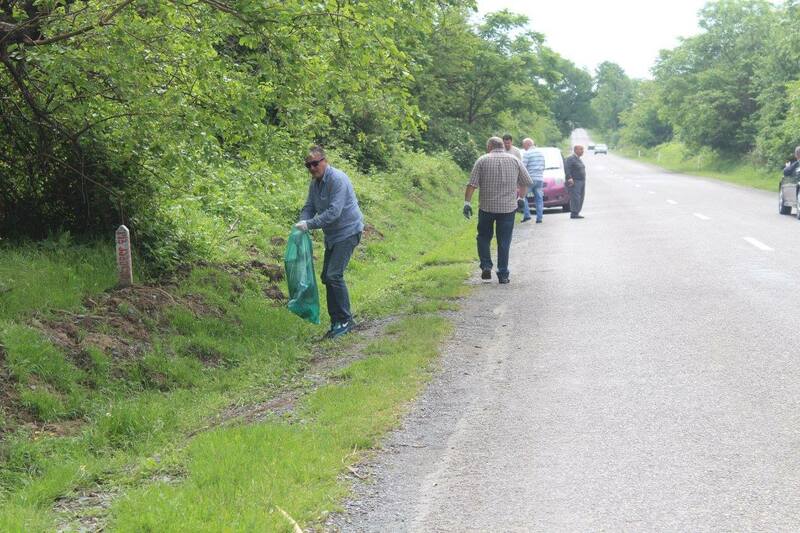 During the action were cleaned up the central districts of the city and Nekresi monastery access road surrounding area. Around 5 ha area has been cleaned up and 15m3 of waste was collected, with participation of 115 volunteers. To celebrate “Earth Day” week in Chokhatauri Municipality, on April 23 the local coordinator of the Greens Movement of Georgia/Friends of the Earth – Georgia and local government organized various environmental activities in the frames of “Clean Up Georgia” campaign with participation of representatives of the City Hall, City Council and N(N)LEs, public officials and volunteers. A clean up action was carried out on the territory of the municipality. Within the framework of the action, neighborhoods of administrative buildings, squares, schools and kindergartens were cleared. The action was attended by 500 volunteers, during which 17.5 ha area was cleaned up and 12,5 m3 wastes were collected. To celebrate “Earth Day” week in Lanchkhuti Municipality, on April 23 the local coordinator of the Greens Movement of Georgia/Friends of the Earth – Georgia and local government organized clean up action in the frames of “Clean Up Georgia” campaign with participation of representatives of the City Hall, City Council and N(N)LEs, public officials and volunteers, as well as public school pupils. Within the framework of the action, neighborhoods of administrative buildings, squares, schools and kindergartens were cleaned up. The action was attended by 490 volunteers, during which 12,5 ha area was cleaned up and 8,7 m3 wastes were collected. To celebrate "Earth Day" week in Marneuli Municipality, on April 24 the local coordinator of the Greens Movement of Georgia/Friends of the Earth – Georgia and local government organized various environmental activities in the frames of “Clean Up Georgia” campaign with participation of representatives of the City Hall and City Council. 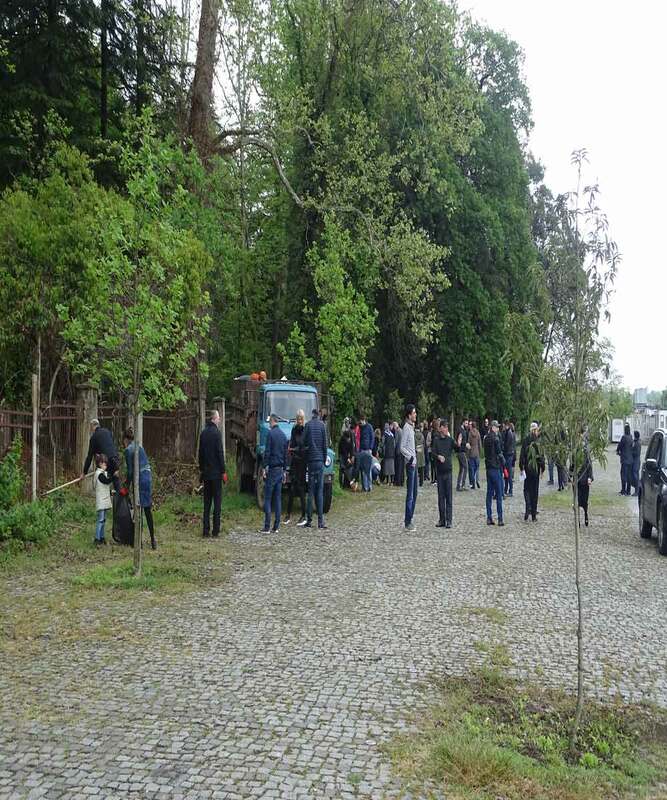 April 22 - Earth Day, was celebrated with traditional large-scale clean-up activities in Zugdidi municipality and hundreds of local residents went out to participate in "Clean Up Georgia" campaign, jointly organized by the local coordinator of the Greens Movement of Georgia / Friends of the Earth - Georgia in cooperation with local authorities.. In the frames of the action the centers of 48 administrative units and adjacent territories, area adjacent to the city railway, Meskhia, Kostava and Chavchavadze streets with neighboring territories, city museum and so-called "Skate Park" neighboring areas, Anaklia and Ganmukhuri sea coastline were cleaned up. 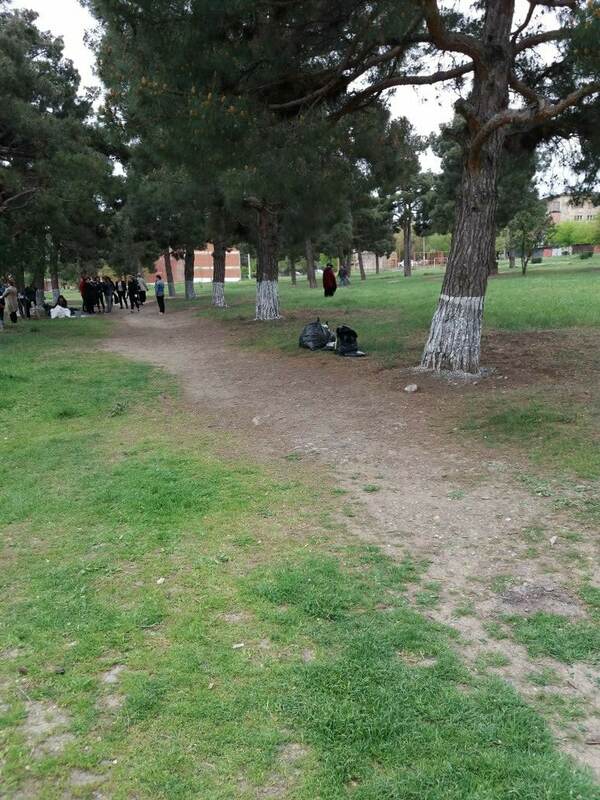 In total, about 15.5 ha area was cleaned up within the scope of the action dedicated to Earth Day and around 190 m3 volume of waste was collected. To celebrate Earth Day in Tetritskaro Municipality, on April 22 the local coordinator of the Greens Movement of Georgia/Friends of the Earth – Georgia and local government organized the clean up action in the frames of “Clean Up Georgia” campaign with support of the Ministry of Environment and Agriculture of Georgia. During the action, so-called "Forest of Bears" was cleaned up, where 3 information boards with inscription " Caring for the Environment Together" were placed. The event participants have cleaned up 3 ha area and collected 3m3 of waste. 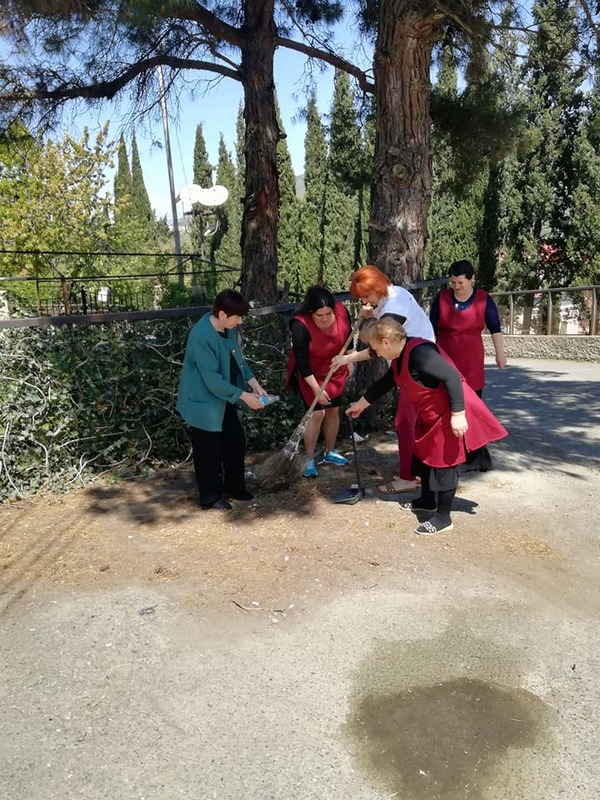 To celebrate Earth Day in Khashuri Municipality, on April 22 the local coordinator of the Greens Movement of Georgia/Friends of the Earth – Georgia organized clean up action in the frames of “Clean Up Georgia” campaign with support of local authority. During the action was cleaned up Mtkvari River and Suramula River confluence surrounding area by village Khtsisi, as well as the central highway. In total 10000 m2 area. Around 5.5 m3 of waste has been collected. About 55 volunteers participated in the action. To celebrate Earth Day in Zestaphoni Municipality, on April 22 the local coordinator of the Greens Movement of Georgia/Friends of the Earth – Georgia with support of local authority organized clean up action in the frames of “Clean Up Georgia” campaign. 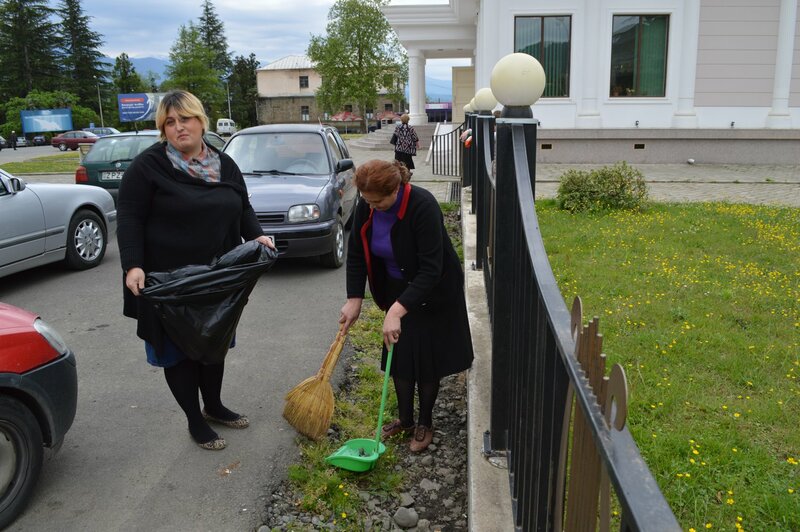 During the action were cleaned up Shatirishvili street and adjacent areas in Kvaliti settlemet, totally 2 ha area. Representatives of the municipality, employees of the kindergarten and local residents took part in the action, totally 200 volunteers. Around 7 m3 of waste was collected. Aprill 22 , Earth Day has been celebrated with large-scale action in town Rustavi, organized by the local coordinator of the Greens Movement of Georgia/Friends of the Earth – Georgia and local government in the frames of “Clean Up Georgia” campaign. During the action were cleaned up different areas of the town including squares, central districts, 6-7 micro district settlements from waste , as well as construction waste . The Mayor of the city, the employees of the City Hall and the Council, local residents actively participated in the action. To celebrate Earth Day in town Mtskheta, (22 -23 April) the local coordinator of the Greens Movement of Georgia/Friends of the Earth – Georgia organized a clean up action in the frames of “Clean Up Georgia” campaign with support of local authority. Clean-up actions were conducted in pre-school institutions, with participation of 40 employees. Within the scope of the event were cleaned up kindergartens surrounding areas, about 1 ha area and 5 m3 of waste has been collected. 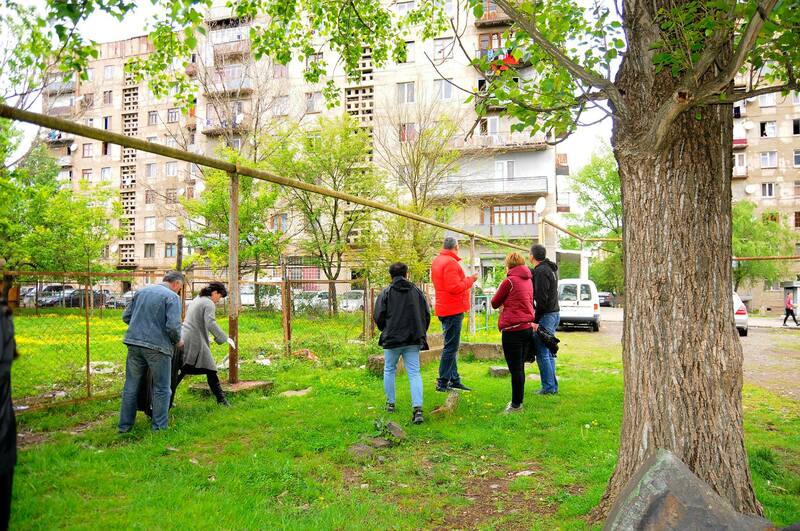 To celebrate Earth Day in Bolnisi Municipality, on April 23 the local coordinator of the Greens Movement of Georgia/Friends of the Earth – Georgia organized clean up action in the frames of “Clean Up Georgia” campaign with support of local authority. Within the framework of the action, meadow areas of Chapala village and a 3-km section on the way to the village of Mamkhuti were cleaned up, as well as the adjoining territory of the Parisi public school. Participants of the event were teachers and pupils of the Parisi public school, employees of the municipality's City Hall and LLC "Communal services", local residents. 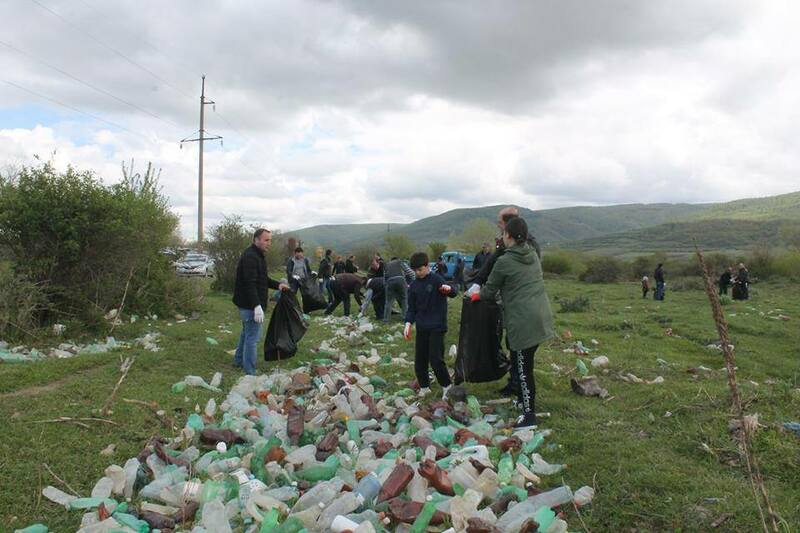 To celebrate Earth Day in Abasha Municipality, on April 22 the local coordinator of the Greens Movement of Georgia/Friends of the Earth – Georgia organized clean up action in the frames of “Clean Up Georgia” campaign with support of local authority. Employees of Abasha City Hall, and Council of Abasha municipality , pupils and teachers of public schools, production and service industries, local population participated in the action together with organizers. April 22 – on the occasion of Earth Day, in the framework of "Clean Up Georgia” campaign, large-scale clean-up activities were carried out in Tbilisi and in the regions of Georgia, organized by the Greens Movement of Georgia / Friends of the Earth- Georgia and local governments, with financial support of the Government of Sweden and in collaboration with the Ministry of Environment and Agriculture of Georgia. In the frames of Clean-Up Georgia Project (Phase III), Georgian Society of Nature Explorers Orchis has purchased 65 saplings of Turkish Pine, 25 saplings of European Spruce, 95 saplings of Lime, 5 saplings of Common Hackberry, 68 saplings of Field Maple from Mtsvane Samkaro LTD and National Nursery LEPL, and planted them in Kaspi and Kareli Municipalities on 11-12th of April, 2018.